The typical approach for a marine tank opening against a mech opening is to switch to pure bio build. This is seen as the only possible solution to mech. Thorzain provided an alternative approach to this problem. 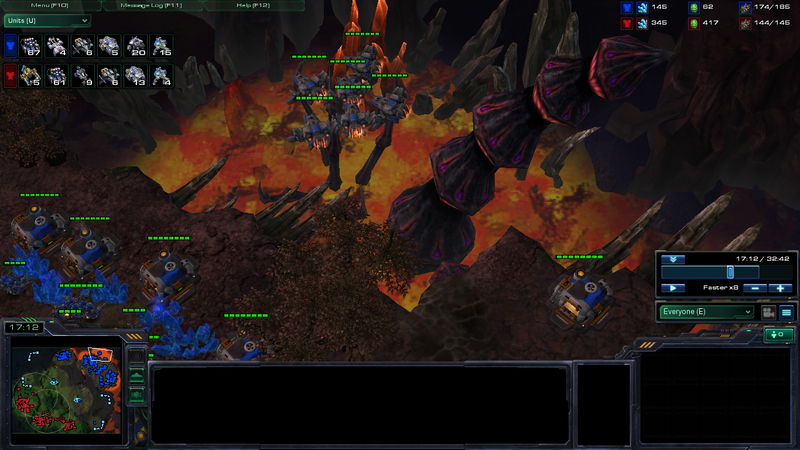 The current TvT metagame generally revolves around three core compositions. First, it is the typical marine, tank and medivac, which is seen as the most versatile playstyle. Second, it is the mech composition, whereby it focuses on hellions, tanks and vikings. Mech is designed to kill marine tank build. Therefore, a terran player who opens up with marine tank opening has to switch to something else, and it usually is pure bio play. Pure bio play is the third composition in the current metagame, which focuses on the mobility of marine, marauder and medivac. This post is not about the debate of which composition is better, but focuses on the follow up moves of a marine tank opening against mech opening. When one opens up with marine tank opening, he has invested in a number of barracks and bio upgrades. It is not wise to switch to mech to fight against mech, because it is impossible to catch up on production facilities (factory) and upgrades. 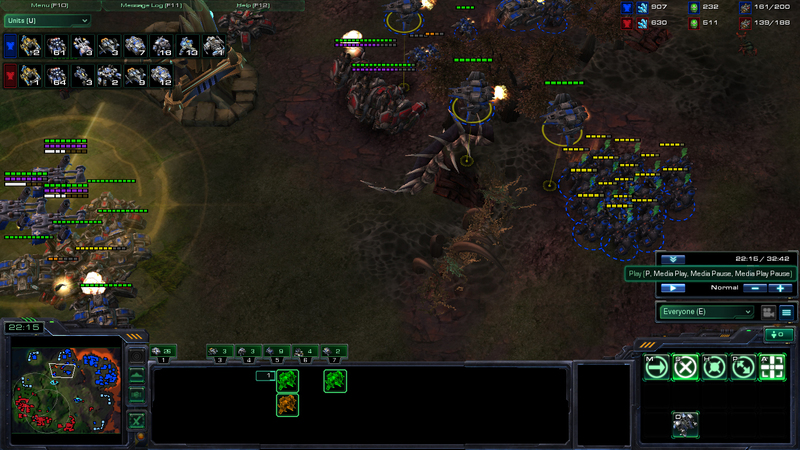 Hence, the only viable option appears to be pure bio play, whereby marauders will work decently well against mech. Marine tank player generally stops tank production since it does not synchronize well with the mobility of pure bio. Another reason is that mech’s air control through high viking count makes tank a liability most of the time. Thorzain’s first game against MarineKing in MLG Winter Championship 2012 brought a different approach to this switch up in composition. In that game, Thorzain opens up with a cloaked banshee opening then switch into marine tank composition. 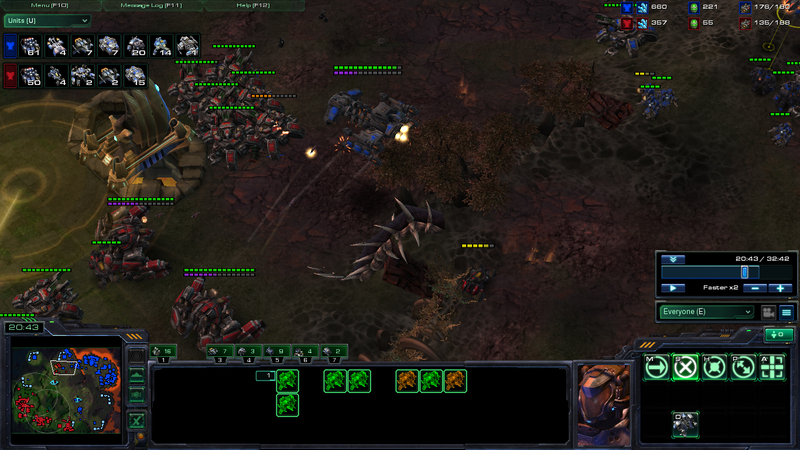 Upon realising MarineKing is going for mech build, he did not drop down more barracks and went for bio play. He sticks to three barracks, with 2x tech lab and 1x reactor. Nothing fanciful just yet. Thorzain got his third base early before building more production facilities. It is a wise choice against mech, since they cannot attack early in the game other than hellion drop. Thorzain’s next move was the very reason this post exists. He placed down another starport, which means that he had 2x starport with 2x reactor. He then produced vikings and hid them at the back of his base. One important point to note is that he still only had three barracks at the point of time. While Thorzain was trying to have more vikings than MarineKing, he built two more factories to make it three in total. He still only had three barracks at this point. While the two new factories were building, he added a third starport and had a tech lab on it. 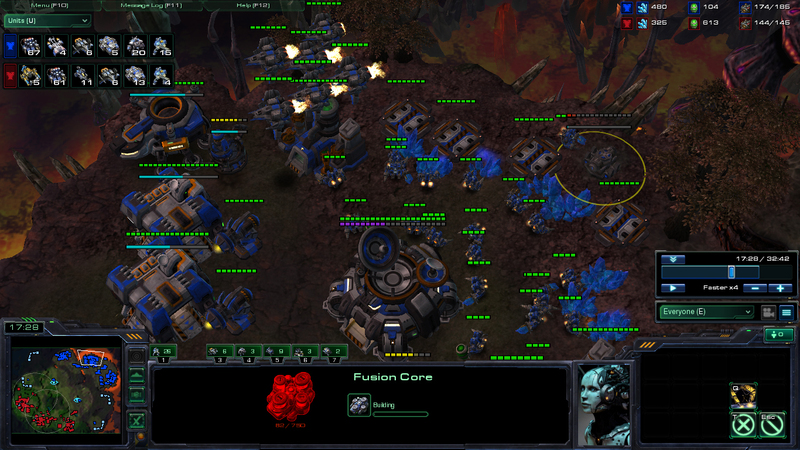 Thorzain then moved out with his units, while getting a fourth base and a fusion core. Thorzain’s high viking count gave him air control, which made MarineKing’s tanks useless as Thorzain pressed with his own tanks. MarineKing lost all of his vikings in that exchange. It is almost impossible for a mech player to recover air dominance once it is lost due to the gas restriction. Being a great player, MarineKing left enough tanks at the his third to delay Thorzain while he counter attacked Thorzain’s third. However, Thorzain’s air dominance was keeping MarineKing’s tank pinned in the north even though MarineKing successfully prevented Thorzain from landing his third. MarineKing’s answer was to produce Thor, and hopefully the splash damage can help to regain air control. However, Thorzain was one step ahead, as he already had a fusion core ready. Thor is ineffective against Battle Cruiser. Being famous for his patient playstyle, the “Spoon-Terran” (Thorzain) destroyed all of MarineKing’s units at the top with well executed moves after destroying majority of MarineKing’s tank with Battle Cruiser. This game has not been discussed as much as it deserves. It may be because Thorzain lost this game eventually, which undermined his unique approach to the metagame. In my humble opinion, Thorzain lost the game partly because he lost his vikings at 22:00. This prevented him to attack MarineKing from the front by leap frogging his tanks.Eventually, Thorzain opted to drop in MarineKing’s main base which seemed to be the downfall of his amazing play. Another notable point is that Thorzain had problem with gas, whereby his mineral was around five times his gas from mid to late game. This indicates that there is more room for improvement for this build. It was pity for Thorzain to lose the game in the end. Nevertheless, this game was awesome, and Thorzain’s innovative approach gave me something to think about. Watch this game on vod HERE. Haha I was playing marine tank against mech and I actually tried doing a very similar thing (before I knew about this). I screwed up in the end though :/ I even had HSM in the air engagement because I just transitioned to BC viking raven. When mech geot popular in TvT last year, MVP said that terran will eventually go for sky terran composition for both bio and mech opening.